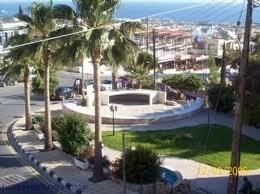 14km northwest of Paphos and 3km north of Coral Bay lays the hillside village of Peyia. One of the most popular residential villages, it has an attractive fountain square, a number of good cafes and tavernas, a nd all the amenities and facilities you need. Peyia village overlooks the sea and the views down across the valley and along the coast are simply stunning. 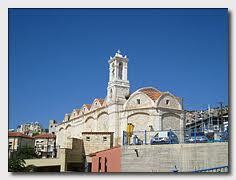 Peyia has branches of many of the popular banks including Alpha bank, Bank of Cyprus, Hellenic bank and the co-op bank. There are quite a number of supermarkets also including Philipos supermarket which now has two shops the original shop located next to the Church in upper Peyia and the newer shop in lower Peyia opposite Coral Bay. Recently a number of UK frozen food outlets have opened in Peyia offering good value. Peyia now has its own petrol station also. 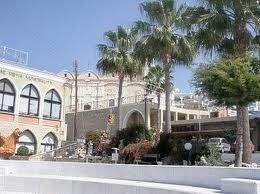 Peyia also has its own post office that opened in 2010 saving that journey into Paphos town. There is even a tyre depo offering all tyre services at a very reasonable cost. Peyia is a very good location for renting as there are quite a number of lovely villas available at good rental prices. Many of the villas offer good sea or mountain views due to the hillside layout of Peyia. Peyia can offer a good selection of rental properties from executive villas to one bedroom apartments. The village also has a number of good eateries these range from taverns, meza houses and traditional cafes, to themed restaurants hosting, for example, Chinese nights. There are also a number of international schools opened in Peyia making Peyia even more popular with families. Aspire Academy in Peyia was opened in 2010 and is owned and run by a UK headmistress.